The most recent expansion of Ameristar is now servicing the greater Downeast and Mid-Coast regions of Maine. Local businesses will now be able to offer premium parking services for their guests/customers on a seasonal or year round basis. The ease of access and added level of service will greatly add to the overall experience for visiting travelers. It’s our goal to provide the absolute best first and last impression for the businesses we service. A local to the area and a professional in the parking industry, Nick has a thorough understanding of the culture and demographics in the state of Maine. Nick is passionate about reflecting Maine business and knows what it takes to provide the utmost guest satisfaction. He operates from his office located in Brunswick, ME. Please note, services in other areas of Maine or New England are available upon request. In 2016 Ameristar Northeast partnered with Cliff House Maine, a 226 room luxury resort in Cape Neddick, during it’s opening phase. The APS team effectively recruited, trained and developed the valet team for the resort. This was an integral part of what the valet operation of the property looks like today. The APS team helped to orchestrate operations ranging from daily drive-up parking to large scale events consisting of 300+ vehicles. 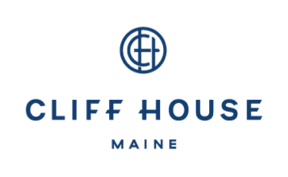 From this model, Cliff House Maine was able to incorporate the valet portion into their own guest service team.